This entry was posted on Tuesday, September 27th, 2016 at 9:05 pm. I’d been looking for Vicky Moon’s coffee table book, The Private Passion of Jackie Kennedy Onasis: Portrait of a Rider, for quite some time. It was always too expensive, but I was recently able to find one relatively cheap on ebay. (Others are now, finally, similarly priced on Amazon). Please believe me when I say that this book is not one to miss. Moon, who must have had an insider’s look into Jackie’s life, provides us with everything we could ever want to know about Jackie as an equestrian. 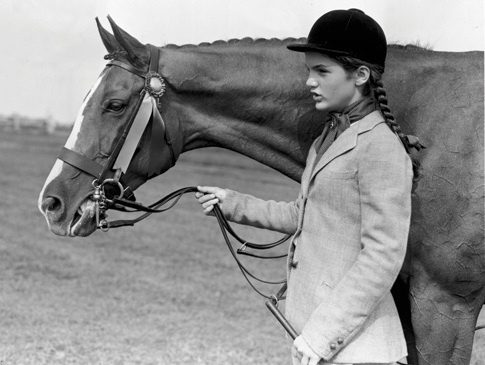 She may have been a First Lady, a fashion maven and style icon, but as far as she was concerned, Jackie was first and foremost an equestrian. 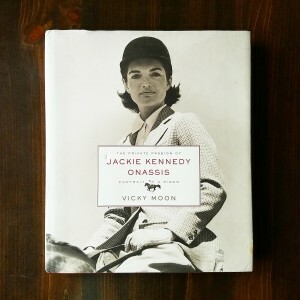 Before reading this book, I had assumed that Jackie was a casual rider, hunting with the Middleburg Hunt because she lived local when JFK was president. But that was far from the case. Jackie was practically born riding; her mother was horse-obsessed and started her young daughter by the time she could walk. From lead line age until her death, Jackie took her riding seriously, always wanting to improve, and took lessons from well-known instructors. Unlike most of us, Jackie’s wealth allowed her great advantages in the horse world. She procured the finest horses. She rode with foreign royalty. She was welcomed immediately within the horsey set no matter where she visited. Like most of us though, Jackie loved being with horses, and that included everything from catching them in the field, grooming, tacking up, and cooling out after a ride. She never hesitated to pitch in and lend a hand. At the barn, she was just another rider. Another horse girl. She blended with the others through their mutual passion, and she loved that. 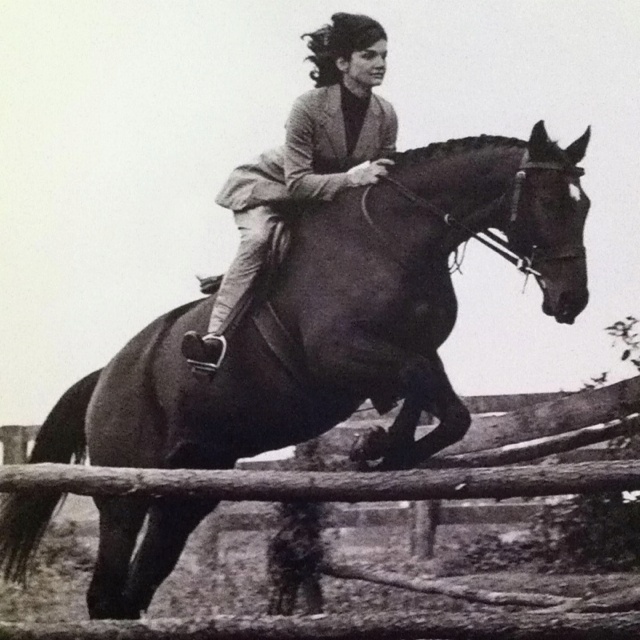 I was also fascinated by the fact that Jackie, at every stage of her life, somehow worked her horses in – or more accurately, she worked her life around her horses! She was the definition of a true equestrian. 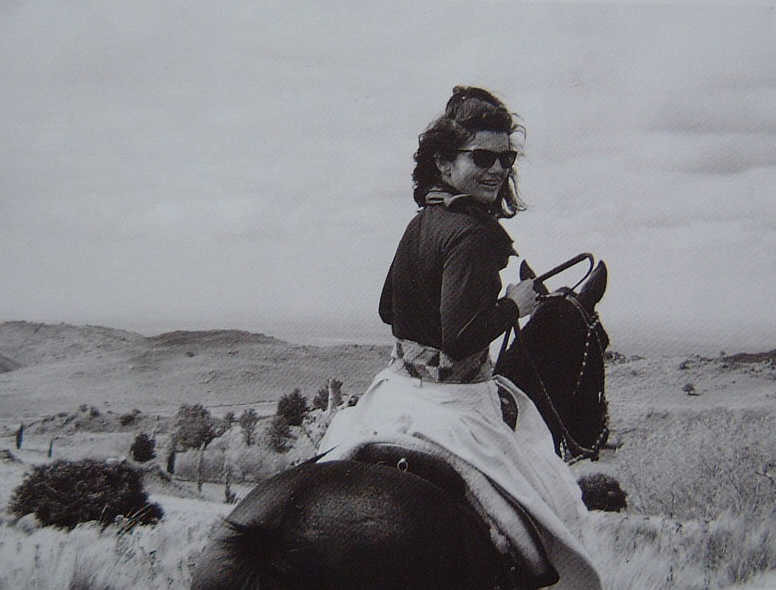 If you’d like to learn more specifically about Jackie Kennedy’s horse life, do not hesitate to grab this one. Not only is it full of interesting info, but it doubles as gorgeous coffee table/equestrian décor as the cover photo and pictures within are magnificent.